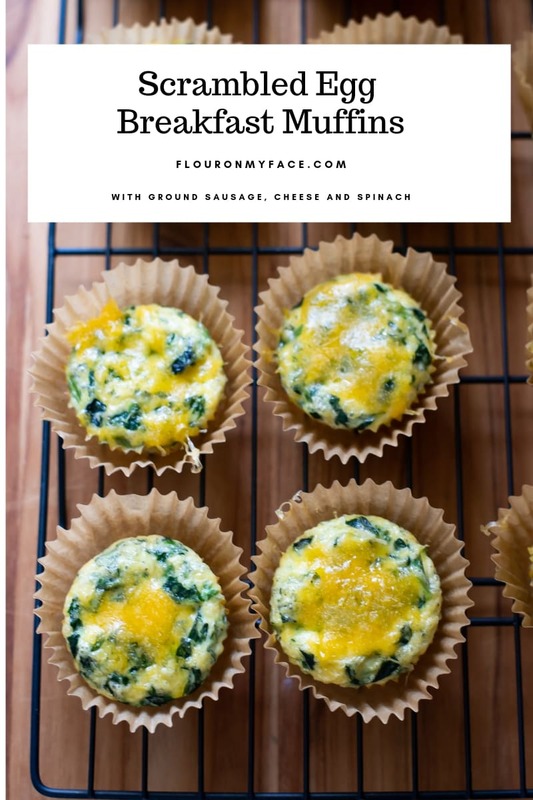 Scrambled Egg Breakfast Muffins recipe with Sausage and Spinach for easy breakfast ideas for those busy mornings. If it wasn’t for easy breakfast recipes like these Scrambled Egg Breakfast Muffins I would never eat breakfast. Scramble Egg Breakfast Muffins are the perfect freezable breakfast muffin recipes for those busy mornings when you just don’t have time to cook breakfast. Breakfast Muffins are a favorite breakfast of mine. Why is that you ask? Because you see I have a hard time eating breakfast in the morning. I have never been a big breakfast eater. Having a week supply of Scrambled Egg Breakfast Muffins in the freezer makes it easier for me to make sure I am eating breakfast. How hard can it be to pop a breakfast muffin in the microwave? It’s not hard at all. If I had to actually cook something for breakfast I would never eat breakfast! Line one or two muffin pans with parchment baking cupcake liners. If using smoked kielbasa sausage cube the sausage into small pieces and brown in a skillet. If using ground breakfast sausage brown in a skillet breaking it up into little pieces. Drain the sausage well on a paper towel. Set aside. 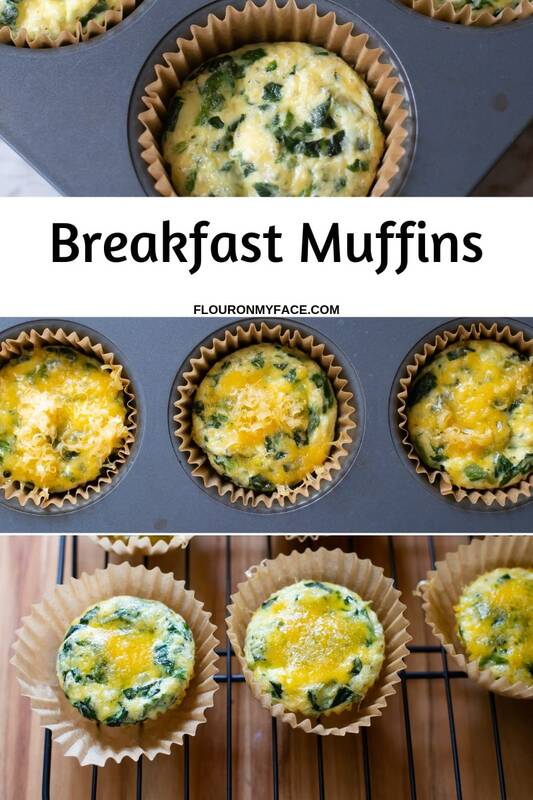 In a large spouted mixing bowl or a 6 to 8 cup glass measuring bowl with a spout beat the eggs and spinach together. Next add the whipping cream or milk to the bowl along with 1 cup of the shredded cheese, the salt, the ground pepper, and the garlic powder. Using a fork whip the ingredients together until well combined. Place about one tablespoon of the cooked sausage into the bottom of each lined cupcake well. Carefully pour the egg mixture into each lined cupcake well only filling to 3/4th full to prevent the egg mixture from overflowing as they bake. Bake for 16 to 18 minutes or until the egg is set in the middle. 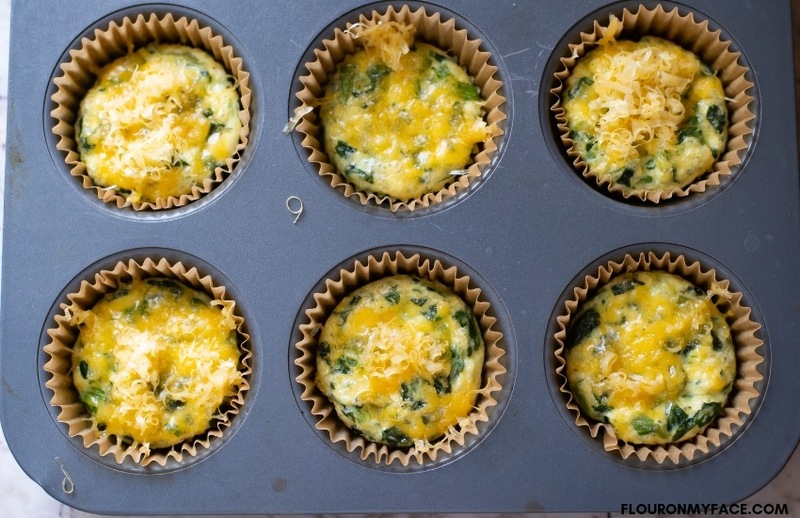 Baking time will depend on how much you have filled each muffin cup. Remove the baking pan from the oven and immediately top each muffin with 1 to 2 tablespoons of the remaining shredded cheese. Allow the cheese to melt and the muffins to cool before storing. Makes 20 to 24 Spinach Sausage Breakfast Muffins. I love freezer meals that make my life easy. Scrambled Egg Breakfast Muffins make great freezable breakfast muffins that are perfect for busy mornings or on the go breakfasts. Here are a few ideas on what kind of things you can use as a filling for a scrambled egg breakfast muffin. You can use just about any vegetable or cooked meat you like. 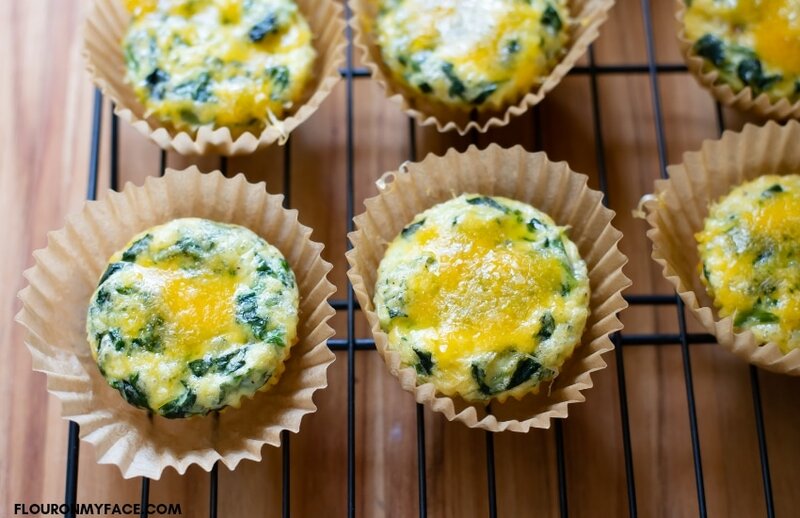 For this scrambled egg breakfast muffins recipe, I used sausage and spinach. I also made another batch for my daughter who does not like spinach or sausage. For my daughter’s scrambled egg breakfast muffins, I used chopped ham and cheese. I also make breakfast muffins with turkey sausage and cauliflower. Scrambled egg breakfast muffins is one of those versatile recipes that you can customize for the entire family. To reheat frozen breakfast muffins wrap a muffin in a paper towel and heat about 40 seconds in the microwave or until the center is heated through. I used smoked kielbasa sausage but you can use browned and drained ground sausage instead. I used frozen chopped spinach but you can use a packed cup of fresh spinach that has been chopped instead. I used shredded medium cheddar cheese but you could use any type of shredded cheese you have on hand. 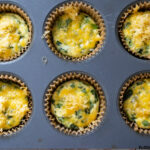 If you only have one 12 cup muffin pan bake the breakfast muffin in 2 to 3 batches.